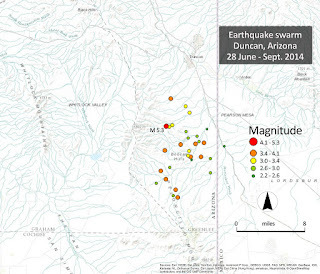 Arizona Geology: Small quake felt in Arizona, New Mexico; aftershock to 2014 Duncan earthquake? 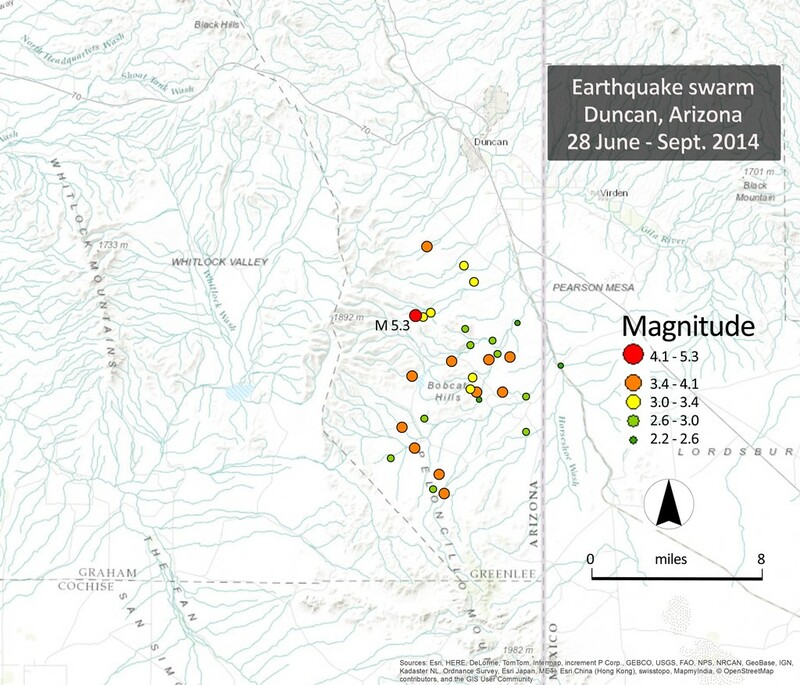 Small quake felt in Arizona, New Mexico; aftershock to 2014 Duncan earthquake? AZGS has a temporary seismic station in the area following the Duncan M-5.3 earthquake of 2014, so we should be able to provide a more accurate location once those data are analyzed. We are still seeing numerous aftershocks from that event. I speculate that today's event is yet another in the ongoing aftershocks of that M=5.3 quake. Hello, cool blog, congrats! sorry for not understanding the area so much, but what is the source of all these quakes? results of the san andreas fault? Lucas, the quakes appear to be occurring on relatively small faults that are part of the Basin & Range extension regime, and not related to the San Andreas system.